wish and wear: Happy Birthday to the Nest! Happy birthday to you and the Nest! A few of us wanted to show you our appreciation and how much we have enjoyed buying from or selling through you - so here is our virtual birthday card! 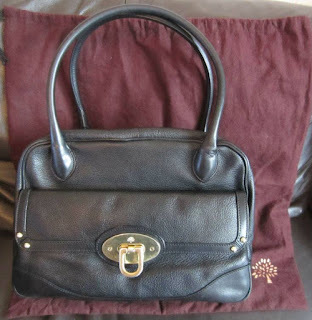 I have always had a love of handbags my mother had several hundred which she had hidden away which I inherited and my obecession grew from there . We had enjoyed several family holidays to Italy so I had some knowledge of different leathers but after discovering Shian it was like finding the fairy god mother of designer handbags. As both a buyer and seller to shain Her vast and in depth knowledge has been invaluable to me as well her honest opinions over different leather/styles/designers I have recommended her to several friends who have brought from her and have always had a first class experience, always approachable and always reasonably priced . I've made 5 purchases from Shian, 3 mulberry and 2 Balenciaga. What a pleasure to buy from this lovely lady. What a brilliant website she runs, great photos and descriptions, hope to buy again soon! Congratulations, Shian, on your anniversary and all good wishes for the future. I bought my beautiful Mulberry Rachel from NPN in 2013, to celebrate the end of a particularly awful year and a new start with a new job. Shian was knowledgeable and helpful, and made the experience very special. Her thoughtfulness and attention to detail, from the website to the packaging and truly exceptional customer service are second to none, and it's an absolute pleasure buying from her. The bag is, of course, absolutely stunning, and I still adore it. Shian is an excellent seller of beautiful bags and accessories. She is knowledgeable, patient (even when you''re asking a million questions!) and her communication is quick and kind. Delivery is also very quick! The bag I bought from Shian was beautifully wrapped in pink tissue paper and purple ribbon, and even came with a little chocolate bar! It was like a beautiful present to myself, and really did make my bag buying experience something else! It was my first Louis Vuitton, and when it came to buying my second I went to a Louis Vuitton store, but buying from Shian was so much nicer and easier. I would recommend NPN wholeheartedly, and wish it a very Happy Birthday! After buying the wrong kind of designer bag for myself, I had lost my self confidence and just didn't trust myself in picking the right one. Shian was amazing, answering question after question and holding my hand throughout the process. When my parcel arrived with the bag wrapped like a gift, I felt so happy - and couldn't quite find all the flaws she had described in her shop. I truly admire her for running such a successful business and am grateful for all the support she has given me and my blog over the past year. Here's to the next 11 years!